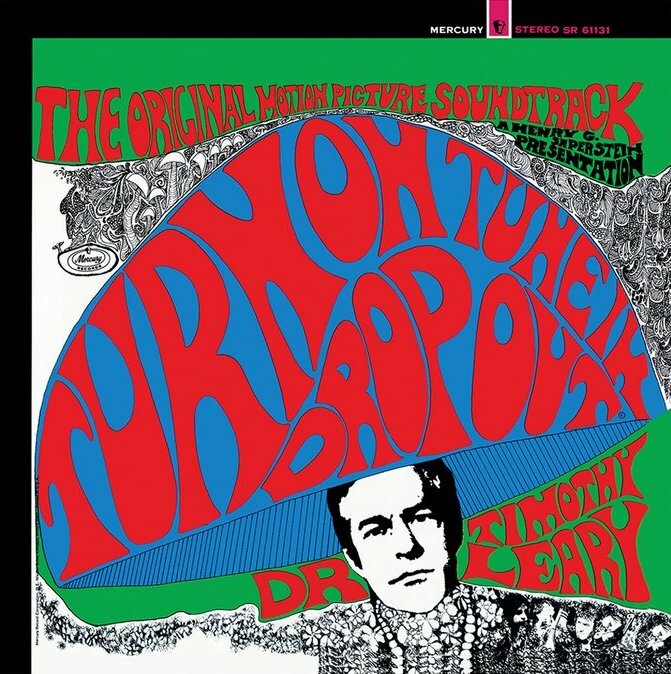 The 565th Soundtrack of the Week is the music by Maryvonne Giercarz, Lars Eric and Richard Bond for the Timothy Leary movie Turn On, Tune In, Drop Out, on psychedelic vinyl! So... there isn't really a lot to say about this. Maryvonne Giercarz plays "veena" (which sounds like a tambura to me), Lars Eric plays guitar and Richard Bond plays tabla. The music part of it is mostly a drone with guitar and table just kind of doing whatever. It's pleasant enough. Sometimes it sounds like Indian music, sometimes more like acid rock/pop. Sometimes you just hear bells. I thought I heard sitar in there also. A lot of the record is dialogue and sound effects from the movie. You hear a lot from Leary himself. "You brought your own mind games with you. Dreary old paranoias." "Can you throb to the pulse of life?" "Drift within, on a thread of sound." 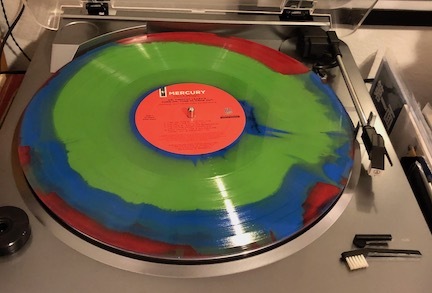 All the talking makes it a little hard to enjoy the music but this is more of a document than a music album, I suppose.